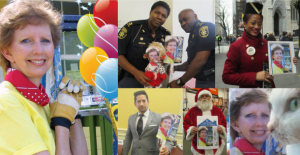 Click here to learn how you can spread the word on social media with our “Flat Linda” campaign. For the better part of her life, Linda Fuller has been at the vanguard of the affordable housing movement — in fact, she gets the credit for starting it! When Millard’s ambition to be a millionaire got in the way of his family obligations, it was Linda who said “Stop!” If she hadn’t put her foot down, the dream that became Habitat for Humanity and The Fuller Center for Housing might never have been born. But it was. She and Millard gave away their wealth and listened to hear what God would have them do. He said, “Go and house the poor.” And, so, they did — first at Koinonia Farm, then in Mbandaka, Zaire, and then around the world with ministries that redefined volunteering and Christian charity. Linda has noted that the phrase, “Behind every good man is a good woman,” is incorrect. It should read, “Beside every good man is a good woman.” And that is where Linda stood through Millard’s 40-year ministry. Since his death, she has continued to hold the banner high — raising funds, inspiring volunteers and reminding us all that the goal of No More Shacks has not yet been met. 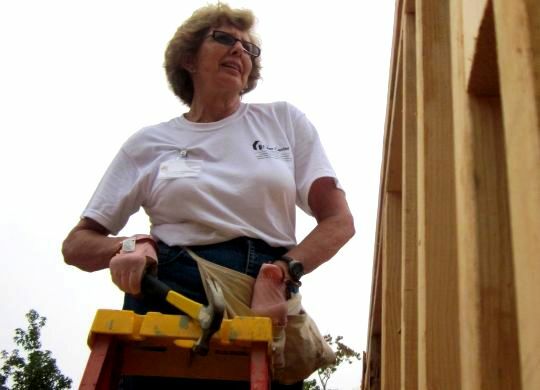 It is fitting that Linda wanted to celebrate her Diamond Jubilee Year by raising money and building houses. She’s set a goal of raising $75,000 in new funds and will be rehabbing a house with as many friends as she can muster in Macon, Georgia, on March 19. For Linda, being the First Lady of Affordable Housing is more than a title — it’s a calling. So, on behalf of all of us here at The Fuller Center and, more, on behalf of the hundreds of thousands of families who have a decent place to call home because you said, “Stop!” those many years ago, Happy Birthday, Linda! If you would like to support Linda Fuller’s effort to raise $75,000 for her 75th birthday, click here. Would love to come help you folks out.